I am by no means the first person, or even part of the first group to get a OneBlade like I was with the Mongoose. 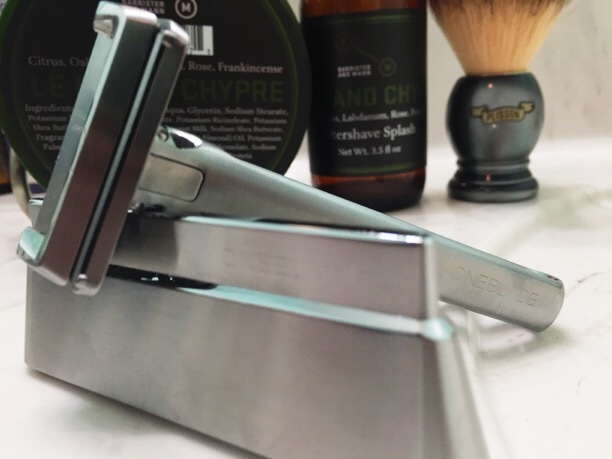 I have been intrigued by this razor sine I first saw it as it is the only modern razor that is built around the more traditionally shaped SE blades. While the blades in use are not the most common or cheapest, they are still some that I am familiar with and feel hold true to the more vintage SE experience. All of this excitement, however, completely dissipated when I saw the price tag. 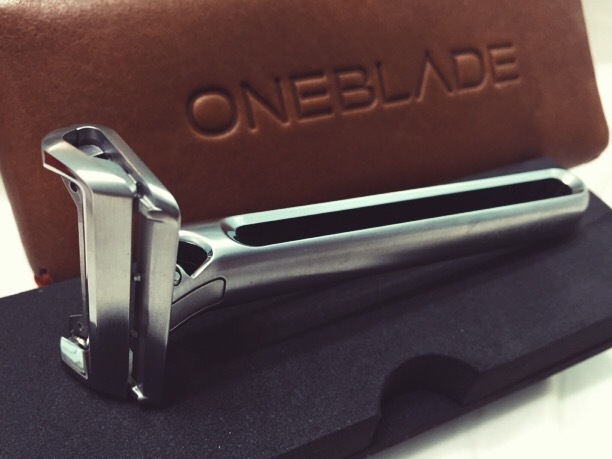 There is no getting around it, the OneBlade is a luxury item and is priced as such. 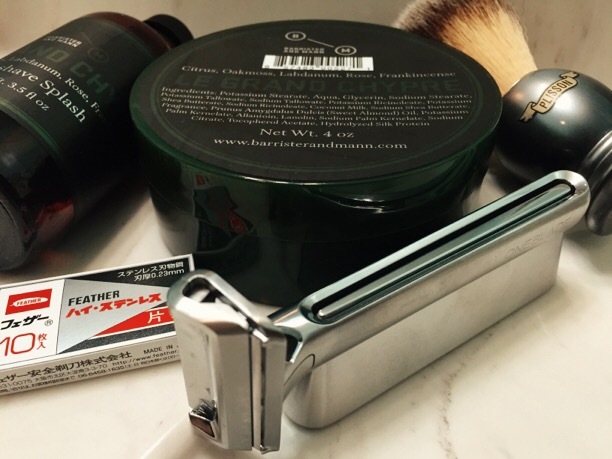 This does not make it shave better than any handful of vintage razors that can be found for < $10 or other modern stainless steel razors that are half the price. 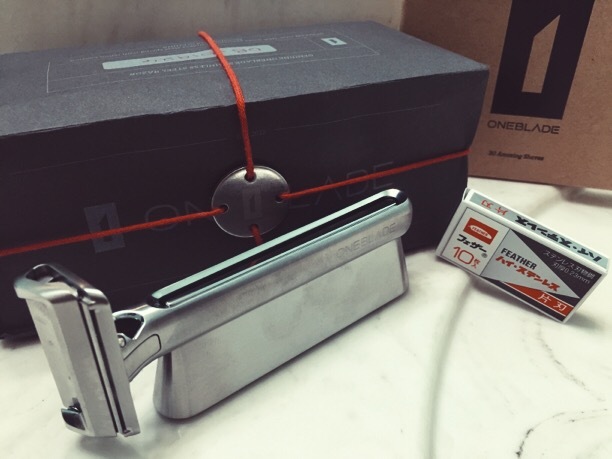 Regardless, the price alone kept me from purchasing this razor for almost 6 months. I recently bit the bullet and spent more on this razor than I have spent on any single shaving item ever. Was it worth it? Did I make a good decision? Will I have buyer's remorse? 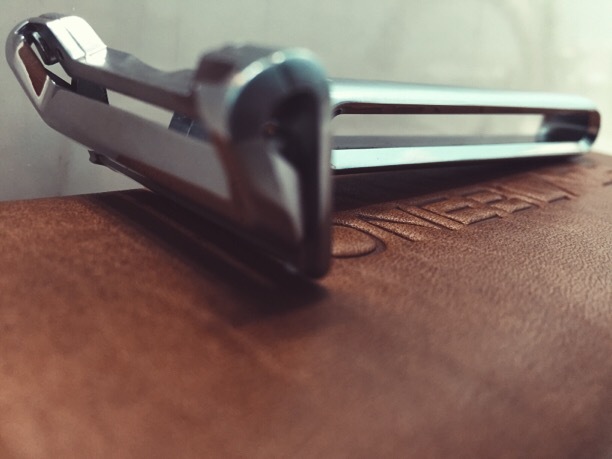 Only time will tell and I hope to utilize this OneBlade Journal much like I did for my Mongoose experience. Hopefully this will be helpful to those who are considering what could possibly be their most expensive shaving purchase ever (like me), or for those who simply enjoy the niceties and want to know a little more. I also will strive to help those new to SE shaving as this is my preferred platform and my shaving passion. As a SE exclusivist for over 4 years I want to help more people know what a great shave can be when those flimsy ribbons of steel called DE blades just won't cut it. For those that can get great shaves from DE blades let me just go ahead and tell you that an SE shave may not ever be your favorite way to shave. I truly believe that the least aggressive shave that gets you the results you want will always be the best way to go as your daily driver. Regardless of the blade, SE blades with their thickness and rigidity are inherently more aggressive than any DE blade and will feel different. Do not go into any SE shave trying to compare it to your favorite DE. You will be disappointed. The blades feel different and will give you different feedback. If you try to judge them by the same criteria, then I think you may be disappointed with your experience. The packaging and presentation definitely deliver on the luxury experience. They truly want you to feel like you are getting your money's worth. Most of this stuff will spend their entire life in a cabinet, closet, or box and have nothing to do with the quality of shave you get. However, it definitely increases the value of your experience with the razor and the brand itself. 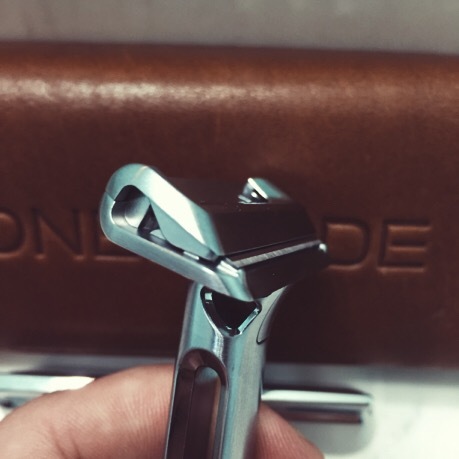 The razor is made of 316-L German stainless steel. The design incorporates many cutouts to lighten the weight. The OneBlade tips the scales at a comfortable 88g. It is easy to hold and manipulate in your hand with very nice overall balance. 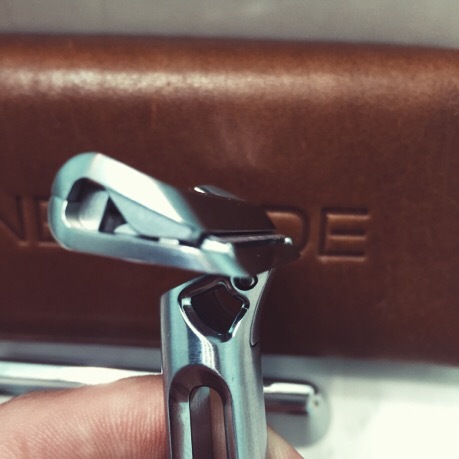 As you can see, the razor comes with a nice stainless steel stand which makes use of the handle cutout to hold the razor. This definitely makes it easy to convince your spouse to leave this razor out on the counter. 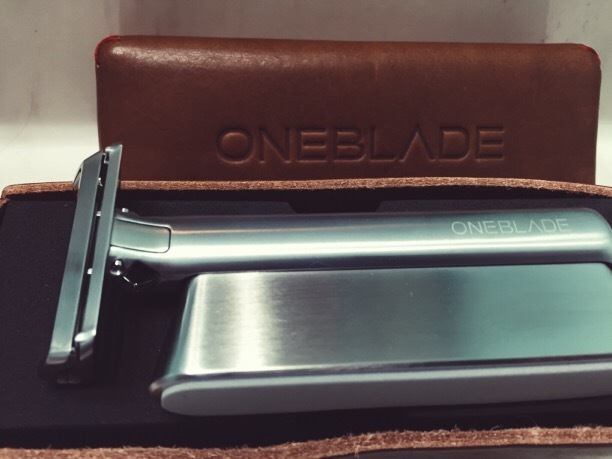 There is no denying that the OneBlade is easy on the eyes, even to those who don't know or appreciate what it is they are even looking at. The blades that are used are the second area of concern for this system (price being the #1 issue for most). 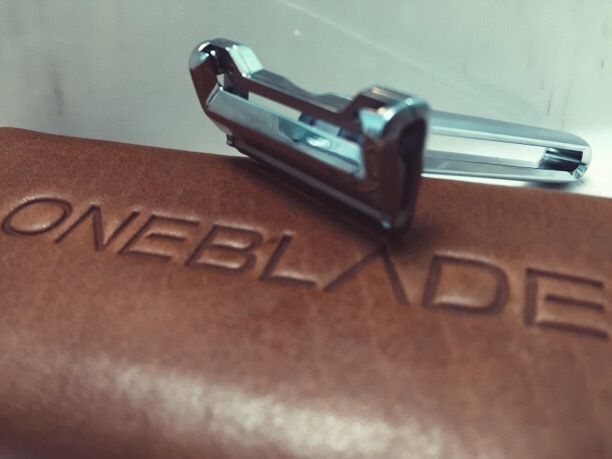 The Feather "spineless" blades were almost unheard of before OneBlade built their razor around them. 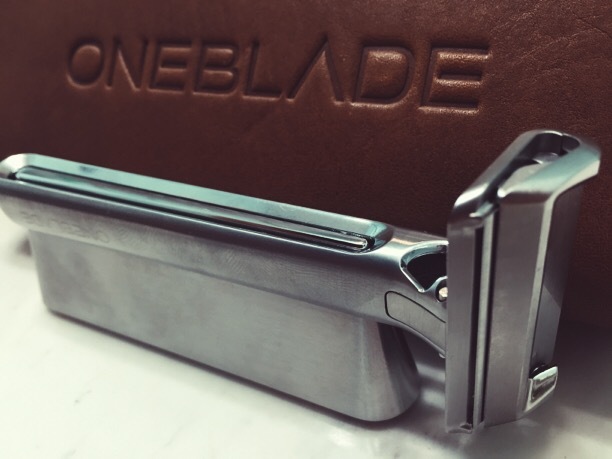 No other blade will work in this razor. 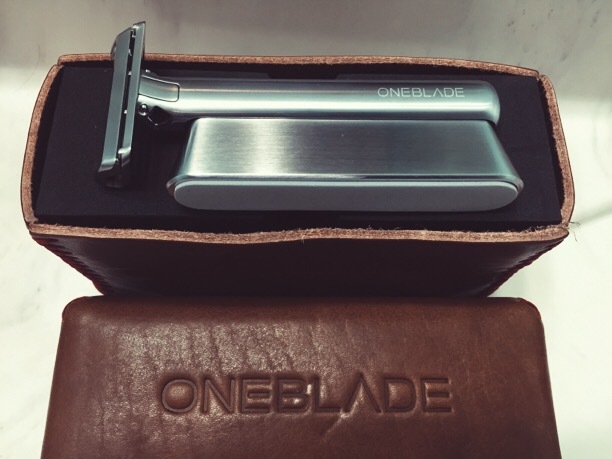 OneBlade recommends a new blade with each shave & it appears many of the early adopters are stuck on the same blade longevity as their Feather DE counterpart with 2 shaves and done. As the blade whisperer that I am, I will be unhappy with anything less than 7 shaves per blade. Less than 5 shaves per blade & I will seriously consider moving the OneBlade on to a new family. The blade loading & removal design is well done; easy & safe to perform. My only complaint here is actually one that brings a smile to my face. Why would a complaint make me smile? Because this issue is also a common issue with many vintage SEs; small blade stops. It is possible for a blade to ride over a worn blade stop in a vintage SE. I've shaved with a blade in this presentation in the past. It is an uncomfortably rough shave with a high probability of blood letting. Upon inserting a blade into the OneBlade I was able to make this happen. Granted I did have to push fairly hard & primarily on a single side, but it was possible & would lead to terrible results if not corrected. I went into this shave with so many thoughts in my head. So many glowing reviews to date which make you question their validity along with the few horrible reviews which make the razor seem so mild that 20 passes will be needed. What about the pivot? How long has it been since a moving razor head has scraped its way along my face? As I finished lathering I took a deep breath to clear my mind before making the first stroke. After the first stroke I was reassured that I know what I'm doing. At least until the thought crossed my mind that I couldn't really feel the stubble being cut. But the audible feedback was there so I kept on. Then I reached my jawline & immediately noticed the pivoting action of the head. It actually startled me enough that I changed my angle to remove the pressure from my face. This is when it all clicked. The angle change I just made led to an immediate roughening of the shave, much louder audible feedback, & decreased efficiency. I had to go back over this spot again, this time with the built-in angle & all retuned back to how the shave started. The rest of the shave took me back to the joy I had when I first started getting amazing shaves; back to when I discovered SE shaving after lackluster DE results. This shave has to be the mildest feeling shave I've ever experienced that still gave me a BBS result. No, it didn't take 20 passes either. All of this was accomplished in my normal 2-pass shave. Needless to say, I am really looking forward to further shaves with the OneBlade. I just pray that I can coax more shaves out of each blade than everyone else gets. Brian, your two posts above are superb. Thank you for putting them up. I do have to admit that the price of one of these razors alone would probably be a deal breaker for me, not to mention that while I enjoy a good SE shave once in a while, I tend to prefer my DE shaves, and pretty much for the reasons you give. Again, a great writeup. One of the best, most detailed, and fair reviews I've seen for any razor. Period. 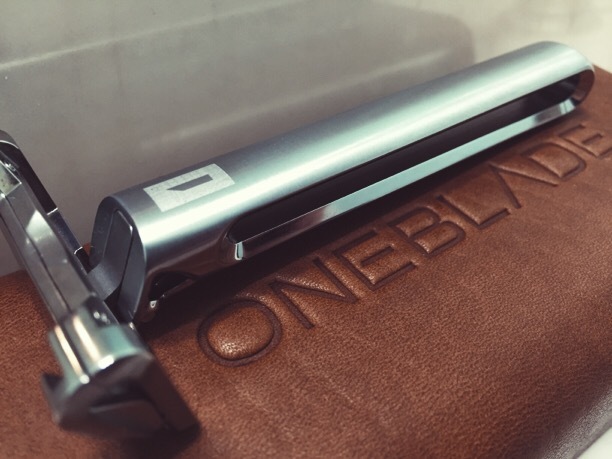 Your continued experience with the OneBlade will, no doubt, thoroughly fill any gaps as you get to know it better, and I eagerly await the next installments! Also, your dedication to assisting SE shavers (whether OneBlade, Mongoose, Cobra, or vintage) getting the perfect shave is truly humbling. Thank you for giving back to those with less knowledge and experience. My hat's off to you, sir. You are a true gentleman. Thanks Freddy! I like feeling like an open blade newbie again. This OneBlade really has me trying to figure it out as well as why these blades don't last as long. I mean Feather's AC blades are out of this world. Len, thank you so much for your kind words. They are encouraging and greatly appreciated. I never cared for the pivot head on the Gillette's starting with the Atra and Fusion. I feel you have more control without it. I'm curious how you will feel after a few shaves with this. I definitely understand RonL. It is a strange thing for us purist shavers to be sure. Glad to see you here at DFS. rawfox1, thank you for reading through. Regarding the Mongoose there is a lot of steel sliding on the skin. If your lather is good like it sounds, then there are only a couple things I can think of. 1. Tilt the handle down a little so less of of the razor is contacting your skin. Really lead with the guard bar and less with the trailing edge behind the blade. 2. Better hydration for your skin. Drink more water. I'll think on this more to see if I can come up with anything else.